Saturday November 3rd saw the clubs Graduate Lifeguards back to training, check out these pictures of some of the candidates practising their new skills. Trainer assessor and club chair Annette Deasy is already predicting some of these recruits are lifeguards of the future who may be patrolling a beach near you soon! Well done to all the candidates training hard and the trainers helping to make our beaches safer for years to come! The Black Rock Run once again delivered a fabulous evening for runners in Woolacombe last Friday. The Lifeguards dominated the top slots this year, with Oli Wright romping home in 20:09 and Ben Grant a very close second place, with Nick Bailey from Ilfracombe Running club in 3rd. Oli Wright’s RNLI Lifeguard team with Niall Deasy, Matt Bull and Josh Surridge secured first place, with lifeguards and Bideford Bay Surf Life Saving Club coming a close second, and Team Roberts (lifeguards and Woolacombe Surf Life saving members) coming third. A Woolacombe team from Gulf Stream surf factory came in 4th, led by owner Julian Matthews and brother Nicholas. Meanwhile, the ladies winner was Sammy Antell from Bideford AAC, followed closely by Beth Barrington, a previous winner, from llfracombe Running club, and Amy Cassells 3rd. Ilfracombe clinched the ladies team prize, with Beth, Kajal Bailey, Deborah Freeman and Amy Cassells. Second Ladies team prize went to Bideford Stones. With prizes from St Austell Breweries, a lively evening was had by all. Meanwhile, the Mill Rock Run for Under 14’s was won by visting club runner from Sweden, Hannah Kinane. This family visit every year and always come to the Black Rock Run, which is always the first Friday in July. They love making it part of their annual holiday to Woolacombe! 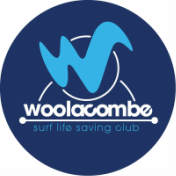 Other age group winners (girls) were Isabelle Roome (Woolacombe SLSC) Rosie Creely, Farrah Carter, Beatrice Troth, Marnie Hellmund (Woolacombe SLSC) and Masie Cooper . Boys winners were Jim Turner (Woolacombe SLSC), Seth Hellmund (Woolacombe SLSC) Jamie Kinane, Felix Gregory, Alex Murdoch, Mahi Bailey and Kush Bailey.